Remember that line from Field of Dreams? Kevin Costner’s character looked across a field of corn and eventually realized he needed to create a new environment; one on which a baseball game would be played. He knew what needed to be done, but did he know how? The same may be true for your company. You want to create a branded environment to showcase your products and you may even have a vision for what it will look like, but taking it from brain to brand requires an expert. Recently Haier America needed a brand environment for a special hotel event. They came to E&E Exhibit Solutions and we took their ideas and created a series of brand environments that showcased their appliances and products. If you can envision it…we can built it. 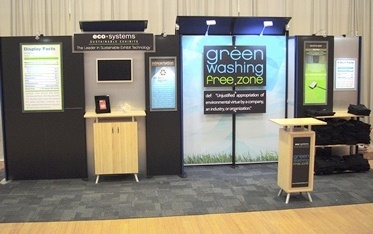 If you need help creating a branded environment, contact our Consultants at E&E Exhibit Solutions.